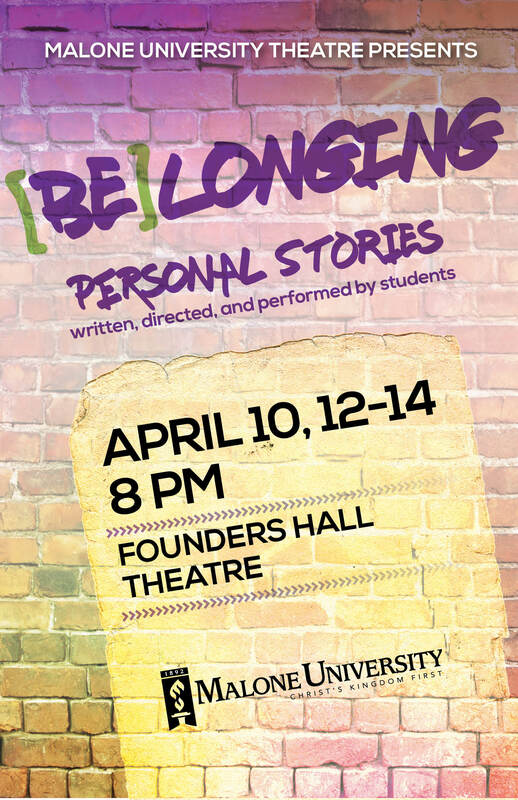 Malone University Theatre presents [be]longing, an experimental work that is centered around real stories from the Malone community. 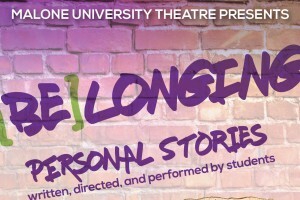 Performances are April 10, 12-14 at the Performing Arts Hall in Founders Hall. The show is free and open to the public, but the audience is asked to bring a non-perishable item for the Akron Canton Regional Food bank. The show is written, directed, and performed by students.